Taken completely out of context, this excerpt of conversation gives the impression of a woman consoling her insecure friend. In all actuality, it serves as the foundation of a story in which a woman desperately searches for remnants of who she used to be in a world that has stolen her identity. 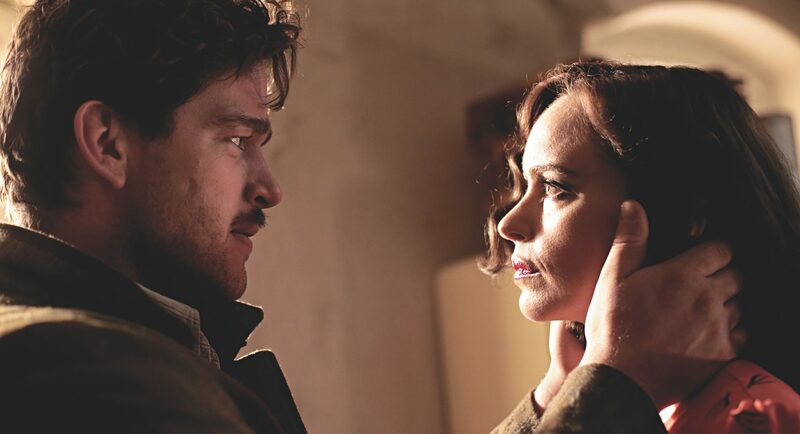 Phoenix opens with a scene in which Lene (Nina Kunzendorf) assists Nelly (Nina Hoss) in crossing the border back to Berlin shortly after the release of concentration camp inmates in 1945. Previously a prisoner of Auschwitz, Nelly is the only one in her family to have survived the Holocaust. It’s made apparent in this scene that Nelly’s face has been gravely disfigured from a gunshot to the forehead while at the camp. Her entire face with the exception of her eyes and mouth is wrapped in blood-covered gauze. Lene, a fellow Jew and Red Cross worker, is her only social connection. Upon entering Berlin, Nelly undergoes facial reconstructive surgery, the operation funded by a substantial inheritance. Against her will, the surgeon alters her face to such an extent that she no longer looks like the woman she used to be. The old Nelly was a glamorous cabaret singer married to a non-Jewish German pianist named Johnny (Ronald Zehrfeld). The new Nelly is a gaunt and pallid woman, with only a faint resemblance to her old self. Nelly cannot help but be horrified by her new appearance. Her discontent is evident through her revisiting of old photos of herself. But Lene attempts to comfort Nelly by stating that a new face could give her more of an advantage in starting a new life. The two reside in an apartment in Berlin — and as one would expect after war, the city has been reduced to mostly rubble and debris. Fervently indignant of what Nelly and her people have experienced, Lene pushes for a future where the two of them can escape to Palestine and create a new life together. Despite Lene’s numerous attempts to excite her about the future, Nelly cannot help but wonder if she’ll ever see her husband again. The hope of reuniting with him was what got her through the torment she experienced in Auschwitz. In an attempt to dissuade her from searching for him, Lene reveals that he was the reason she was arrested by the Nazis — that he had told them where she was hiding out of fear. Refusing to accept the truth about her husband, Nelly begins her search for him. To her delight, she runs into him at a cabaret known as “Phoenix.” As one would assume, Johnny does not recognize her. He is under the impression that his wife had died in one of the camps. All he sees in Nelly is a woman that vaguely resembles his supposed dead wife. Saddened by his inability to recognize her, she uses this as an opportunity to spend time with her long lost husband, never revealing her identity. She also takes this as an opportunity to find out if Lene’s insistence that he had betrayed her is true. Where Nelly is plagued by denial of his betrayal, Johnny sees an opportunity to hire her to play the role of his wife, as a means of acquiring the fortune her family left behind. He promises to pay Nelly a fraction of the inheritance and she accepts the offer. Phoenix’s strengths lie predominantly in its heavy usage of symbolism and allusion to convey the plot. The film’s title is perhaps the most crucial example. A phoenix, of course, is a bird symbolic of power, strength and renewal. It arrives as no surprise that Phoenix follows Nelly’s quest to rise above the trauma she’s dealt with. The three aforementioned qualities are most certainly what Nelly seeks to restore, if not discover within herself throughout the course of the film. Director Christian Petzold’s refusal to use flashbacks to illustrate Nelly’s past experiences and thought patterns successfully keeps viewers focused on the film’s immediate events. This is a story of the protagonist’s healing process. To focus on her past would distract viewers from seeing that this film is a visual representation of a person’s redemption and efforts to construct a new future for themselves. Nelly’s highly internalized pain is expressed more so through her actions than words, giving the story an element of ambiguity. The vibrant red dress Johnny insists she wear to convince people of her livelihood after having been imprisoned starkly contrasts the neutral, muted clothing she wears throughout the vast majority of the film. Red is a color commonly associated with passion, violence, danger, and anger. It is no surprise Nelly’s singing performance at the film’s conclusion is done so while she is wearing this color. Singing was her passion. But seeing her wear red is difficult because we know that the pain she’s endured has caused her passion for singing to fall away. Other priorities, primarily those of survival and reclaiming her personal integrity, have taken center stage. Her wearing of red implies that she has already healed from her horrid experience at the camps, when in reality she has not. The red dress instead grows to symbolize her newfound commitment to rediscovering who she used to be, in the hopes of reintegrating herself back into post-WWII society. Phoenix depicts this postwar Berlin as dark, ominous and disheveled. We see this in the director’s focus on the city’s destroyed infrastructure. Berlin is shown to be a mere shell of what it used to be. This emptiness could be likened to how the Holocaust survivors felt upon being freed. It goes without saying that humans will eventually lose sight of what it’s like have their own individual identities if held hostage in an environment that severely dehumanizes them for a prolonged period of time. Nelly desperately searches for remnants of who she used to be before her imprisonment at Auschwitz through her interactions with Johnny. She’s so dedicated to this search that she tolerates his domineering, hostile nature. The lack of respect she has for herself is a reflection of how accustomed she’s become to cruelty being inflicted upon her. When she asks him to recall stories of him and his wife, she is subconsciously asking for him to present her with an escape from the brutal realities of the world she now lives in. Petzold deliberately places the final stanza of Kurt Weill’s jazz standard “Speak Low” at the very end of the film. If you listen carefully to the lyrics, you’ll notice that the song alludes to an abrupt ending, and indeed such an ending takes place. Phoenix closes at the plot’s highest point of gravitas, leaving viewers deeply unsettled and eager to know what happens next in Nelly’s quest for recovery. The audience is left to speculate and there’s a certain beauty to this ambiguity. It mimics life’s tendency to catch us off guard with its unforeseen occurrences. Perhaps the greatest weakness of Phoenix is it’s far-fetched plot. A more cynical viewer would question how likely it is for someone whose chances of living were as slim as Nelly’s, to have miraculously reunited with a love interest after such a devastating war. The likelihood of surviving a gunshot to the head is very low, but somehow Nelly survived it with little to no visible brain damage. One could deduce that Nelly, despite having undergone numerous unimaginable traumatic experiences, has been graced with a bit of luck. 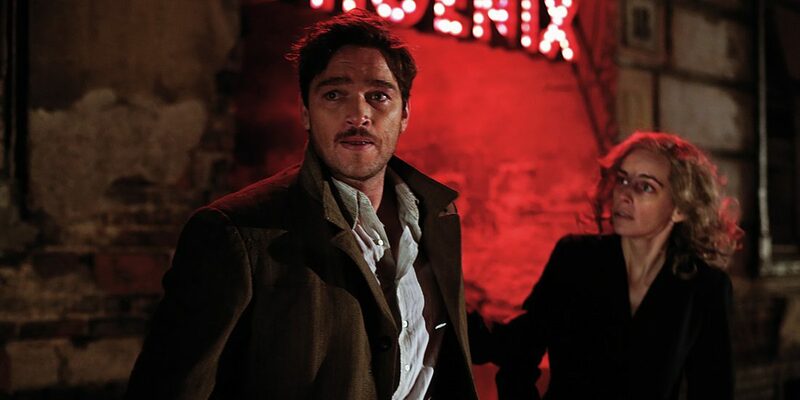 If viewers are able to overlook these questionable events, they’ll discover that Phoenix is a worthwhile experience. Tags: Gabriella Pakeman. Bookmark the permalink.